Here is a snapshot of some of the innovations our Design Lab has developed so far. 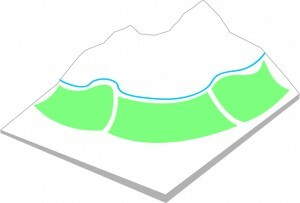 After extensive research into water sources and distribution in the Koh-e-baba mountains, it was learned that water quantity is not the primary problem, it is the location of this water. Snowmelt from this mountain range provides much of the water throughout all of Afghanistan. In these mountain villages water is clean, and plentiful. The problem however lies in where this water is located. The bottom of valleys collect this water and can benefit from to it year around. A complicated network of channels has been dug into the hillsides and has provided a gravity driven method to move water. 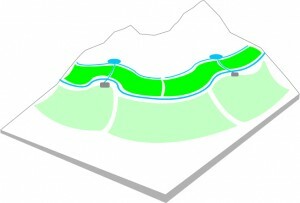 A channel like this, called a “Joi”, runs along the hillsides providing water to a small area above the low point in the valley, but always below the joi. A very large percentage of potentially valuable land lies above the joi, however without access to water remains it dry and void of vegetation. ECOA’s exploration into an irrigation concept focus on how to move water, and how to get it to these areas that are otherwise barren. At present farmers use a flood irrigation system that results in high levels of soil erosion and results in a reduction in soil productivity. Therefore, the Design Teams objective was to design and develop a locally appropriate gravity fed irrigation system that will enhance the historically low agricultural productivity and reduce soil erosion. A ram pump is a cyclic water pump powered solely by hydropower. No other fuel is needed, only the kinetic energy of flowing water. This makes this style of pump perfectly suited for environments where water is readily available, but money and fuel are scarce. 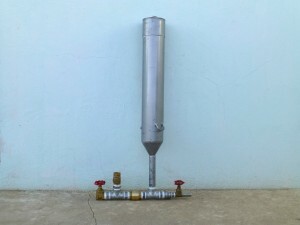 COAM local innovators have designed a prototype ram pump. The pump has been tested, and proven in concept. All parts were sourced locally from the bazaar and was a project taken on my the interns as the design school. A ram pump operates on the principle of momentum, and specifically the “water hammer” effect. Water flows through a drive line, into the pump, and initially out of the “waste valve” which is known as a swing check valve. As this volume of water travels through the pump and enough momentum is reached, the water catches the door to this swing valve and slams it shut. This creates a high pressure spike (commonly called a “water hammer”), which in turn forces some water through another valve, called a spring check valve, and then into the pressure chamber. This increases the pressure in the chamber slightly, and drops the pressure on the other side of the spring valve, allowing water to flow out of the “waste valve” once again. This only lasts a second, until the door is caught and slammed shut, water is forced through the spring valve, and the pressure is increased once again. Each cycle pushes more pressure into the chamber, which is used to pump a portion of the water that flows into the pump, up the discharge line and to a higher elevation than the intake point. Most parts were sourced locally from the Bamyan bazaar. Only one valve had to be obtained from Kabul as the bazaar carried it in the wrong size. Ram Pumps are made from common plumbing fittings and have only two moving parts. This makes them cheap to build, easy to maintain, and very reliable. The design was chosen because of the a ram pumps simplicity, it’s inexpensive, and most of all it does not require any fuel or power source beside flowing water. The concept has been proven, and tested in the field. The pump can pump water higher than 50 m uphill. Next steps would include installing an irrigation system in addition to the ram pump. This would most likely involve a reservoir tank that is filled with the pump, that water then is used in a drip irrigation type system. The flows rates of a 1inch pump are low enough a reservoir tank is most likely necessary. 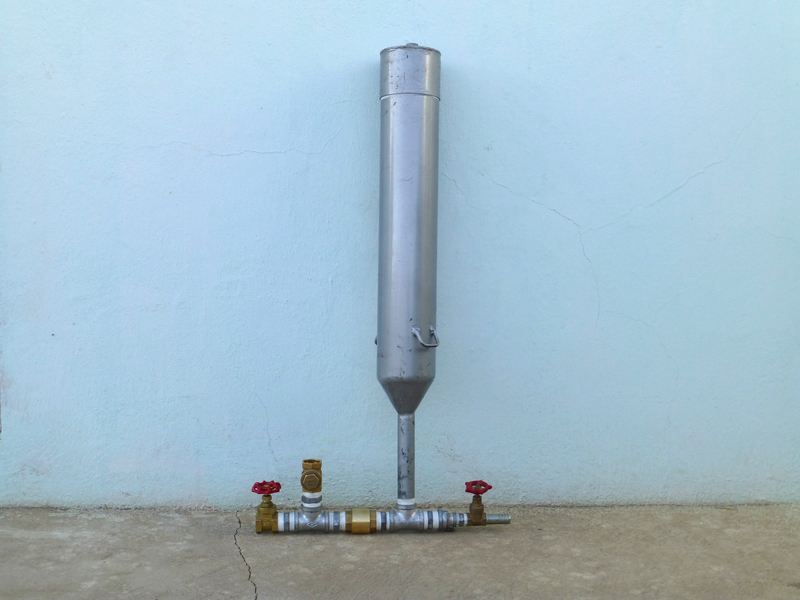 Another next step would be scaling up the pump, maybe to a 2’’ or 2.5’’ diameter. The parts would be more expensive, but it would provide more water. A survey should be conducted to see the potential benefit of a pump like this, and if it’s seen as valuable in the villages. Initial opinions say it is beneficial, however cost vs effectiveness must be weighed, including villagers opinions. Dung is traditionally an important fuel source in the villages. The traditional method was simply to form the dung into patties by hand, dry and burn them. 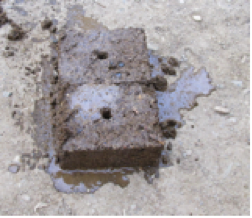 The briquette-maker has been developed to compress the dung into small (approximately 20cm x 10cm x 10cm) cubes. The process removes moisture, compacting the dung, thereby increasing the speed of drying, facilitating easier storage and producing a product that burns much more efficiently than the traditional dung patties. In addition, the previously unusable fuel sources, sawdust and coal dust, are incorporated into the dung briquettes. The final design has been developed so that it can be used by men or women with equal ease (see photo below). Different designs of briquette makers made by the COAM/ECOA Design Team. Model # 2 was rated the most appropriate model. Four different prototypes were made and tested for a) easy to use b) briquette burning efficiency c) cheap to manufacture. After testing period by 3 men and 3 women the following conclusions were drawn on the models numbered 1-4. Similar to the idea as the final design however only two briquettes could be made at one go and mechanics were stiffer to use. Complicated to make, used a lot of material therefore was expensive to make, had to wait for the briquettes to dry before the briquettes could be removed from the machine. 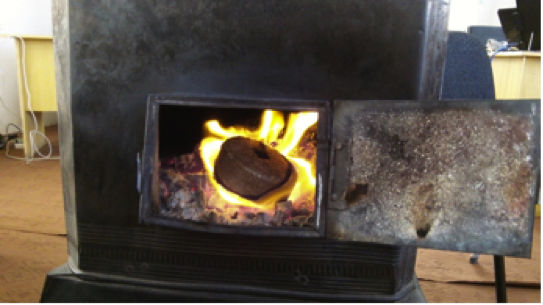 Makes good briquettes which burn at hot temperature however at a quicker rate than briquettes with one hole. Only makes one briquette at a time and compression relies on upper body strength. The final briquette maker design from the COAM/ECOA Design Lab. The briquette takes approximately two days to dry. 1. Economic benefit – less fuel required, briquettes can be sold. 3. Social benefit – Briquettes can be made and sold by women. 4. Health benefits – cleaner burning fuel means reduced air pollution. The COAM solar water heater comprises a large, 1m diameter dish supported on a metal trellis which is lightweight enough that it can be moved easily by a single person so that it can be rotated to point at the sun. 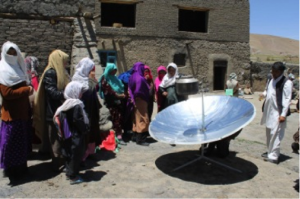 The dish is lined inside with a reflective metallic coating which reflects and concentrates the sun’s rays to a central point where a small platform supports the kettle or pot of water. 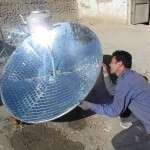 The solar water heaters are locally produced at a cost of approximately $100. A heater boils 12 litres of water in 40 minutes in winter and in 20 minutes in summer. 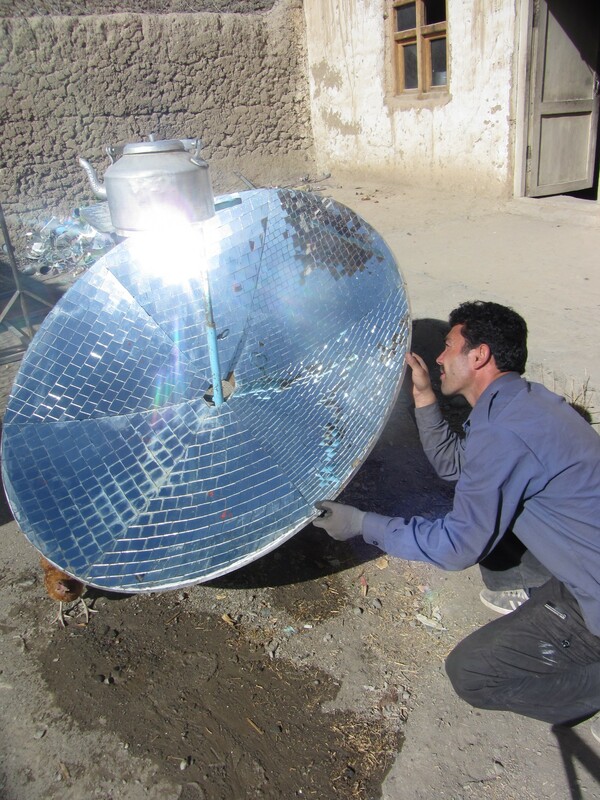 Solar water heaters can be produced even more cheaply by recycling old military satellite dishes. Obviously, the use of the solar water heater, relative to a solid fuel heater results in a 100% reduction in solid fuel use. In addition to saving fuel, it was found that having excess hot water in the home increased people’s tendency to bathe in the wintertime, benefiting health and hygiene. The ECOA design team hope to adapt this water heating system for supplying hot water to schools for hand washing facilities reducing the spread of infections and disease among children.